Cheese lovers beware, there is another very determined turophile (cheese devotee) on a mission to devour the same fine, long aged cheeses that you too love to eat. These little pests can consume a significant portion of aged, naturally rinded cheeses and in the process take a bite out of the slim profit margin of the artisan cheesemaker. While cheese mites are a desired part of the aging of a handful of European cheeses, for most cheesemakers they can be a costly nuisance. I remember when cheese mites first arrived in our aging room. For many months I innocently thought the brownish powder accumulating on the aging room floor between cleanings, of course, was “cheese dust”- some sort of naturally occurring shedding of the paprika and oil rubbed rinds of our cheeses. This naiveté served me well until I visited a fellow cheesemaker who was brushing the same dust off of her cheeses and complaining about mites. Did I have cheese mites? She asked. No, I didn’t think so, I replied while at the same time the realization started dawning that I did indeed have my own little infestation going on back home in the cellar. Upon returning to our farm and creamery I put a bit of said dust on a microscope slide, placed it under the lens, took a look and was disgusted to see the little creeps waving back at me. So what does the cheese mite do to its prey? They dig in and start eating the rind of unwaxed and otherwise unprotected aging cheeses, including bandage wrapped cheddars. Generally they don’t start to work on cheese under a couple of months of age, (they seem to have a connoisseur’s taste, but actually the longer aged cheese has a greater degree of protein breakdown- proteolysis- making it a better source of nutrition for the mite), but it varies depending upon the rind treatment. For example, cheeses that are being brine washed or rubbed with oil usually don’t see any mite presence until much later in their aging or, if rind treatment continues throughout aging, their activity is limited (the small size of the mite makes it difficult for them to maneuver through sticky, oily, or wet surfaces). As the mites dine, they create little pinholes (see photo) that later turn into growing craters. They eat their way under the rind and eventually cause large pits, and what I think of as cheese sink holes. Initially the damage they do has no effect upon the taste of the cheese, but given time they impart a floral, sweet, rather sickly (to my taste buds) flavor. So why would anyone want mites on their cheese? Two fairly well known European cheeses, the German MIlbenkäse (literally mite cheese) and the French Mimolette are probably the two best known examples of cheeses using, what I like to call, mite-assisted-affinage. MIlbenkäse manufacture utilizes mites in an interesting fashion; when the wheels, logs, or other shaped cheeses are ready, they are placed in a box (mites prefer the dark) with mite dust and rye flour. Evidently the flour provides an additional food source for the mites so that they will still have an effect on the flavor of the cheese, but consume less of the finished product. Mimolette wheels (whose shape and make is similar to Dutch Edam) are also inoculated with mite dust and then brushed throughout the rest of their aging, to somewhat slow the destruction of the rind while the flavor can be changed by the mite’s activity. 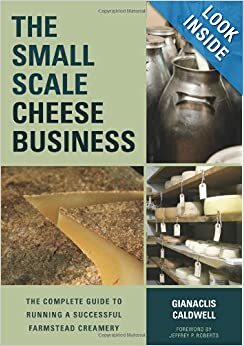 If you are an artisan cheesemaker with a mite “problem” it can be utilized to produce a unique product, but it is important to remember that most retailers will not appreciate a heavily infested cheese being introduced to their cheese case or aging rooms. In addition, health departments may not recognize mites as an acceptable “ingredient” in cheese. So what can you do? There are several options for limiting the damage and level of involvement of these little guys in your aging room. One of the key factors in limiting mite damage is early intervention. Once the mites work their way under the surface of the cheese they gain a measure of protection from any attempts to disrupt them. If your cheese isn’t intended to age for more than a few months, this may not be an issue. Mechanical means of limiting mites included brushing and vacuuming (yup, now your housework extends to the aging cellar). If brushing, it is best to remove the cheeses from the aging room and brush then onto a damp floor or into a sink, so that the dust is better contained. Vacuuming can be done with a small vacuum that you keep just for this purpose. Remember, the running motor will generate heat, which could be a factor for your cooling system. Both vacuuming and brushing will need to be done very regularly to have much effect, and again, remember that if the mites have already gone “underground” on your rind, these methods will do little good. Mites also seem to prefer a flat surface and dark, so you will see more activity on the underneath side of a wheel that is aged on its flat surfaces. Wheels that are aged on their curved sides seem to suffer a bit less damage, as do those not aged on wood. (It isn’t the wood that is the problem, it is just that the wood helps keep the mites dark and protected- they can’t fall off the wheel as easily!) When we had some large losses due to mites, we were aging on wood. Until that time the damage was always minimal. I tried vacuuming while aging on the wood, but it was difficult to effectively get all of the mite dust off of the wood without moving every cheese on the shelves, and, as I mentioned before, the vacuum generated quite a bit of heat in our small aging room. We are powered solely by solar power and any additional energy loads can be a concern. Some data say that mites will not live at refrigeration temperature, so I tried chilling cheeses for a period of days before shipping. About all that did was slow the mites down. Some research says that mites can be controlled with temperatures less than 37.4 F (3 C), but that wasn’t my experience with cheese already infested. And of course, most artisan cheeses would not be aged at refrigeration temperatures, other than perhaps blue cheese. Waxing, clear coating (sometimes called cream wax but really a polymer based coating), and vacuum sealing will of course prevent infestation, but bandaging will not. In fact, it is bandage wrapped cheddars that seem to have the biggest problem. In the past, aging rooms were fumigated to kill mites, but this, thankfully for the environment, is no longer acceptable or allowed. Some cheesemakers have noted that mites seem to be more attracted to moldy cheeses. Evidently molds produce pheromones that attract the mites. The mites serve the mold’s purpose by helping move spores deeper into the cheese as they burrow their way into the rind. They also open the rind up for natural spore invasion. So steps that reduce mold growth , such as brushing and brine washing, will also help deter mite activity. Many cheesemakers find the best remedy to be the use of food grade diatomaceous earth (DE). When dusted (use a fine meshed sieve) on the surface of the cheese the DE dehydrates the mites. Again, this technique must be employed early in the aging process before the mites have gone below the rind’s surface. Be sure to wear a mask when using DE, while not toxic, breathing the fine, abrasive powder is not a good thing for your lungs. Hydrogen peroxide can be utilized when mixed to 10% as a wash either following vacuuming or before infestation occurs. I have not tried this method, but somehow it sounds effective yet unappetizing if your rinds are typically consumed by customers. Ozone machines are being used to limit mite damage in larger aging facilities- and some small ones. What is an ozone machine? Well, in a nutshell these machines take oxygen (O₂) from the room, utilize an ultra violet light, and change it to tri-atomic oxygen (O₃). Ozone attacks organic compounds, such as mold, yeast, phage, and bacteria. It has been used for some time in hospitals and other institutions to purify air and has been shown to sanitize surfaces as well. So how can this help with a cheese mite problem? The research is unclear on the exact mechanics, but it seems that the mites don’t appreciate the O₃ environment and as mold growth is also limited by ozone, the cheese surface becomes less appealing. At Pholia Farm we have a small ozone machine (the EQ Ecobox- about 349.00 on Amazon.com) that we utilize for mildew prevention, air freshening, and general sanitation in the cheese make room, but I would never consider using it in our aging room where I want mold growth and bacterial activity. 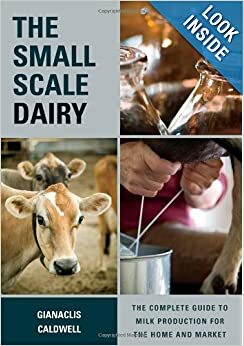 So to sum it up, anything you can do to make the surface of your cheese less hospitable for mites will help; brine washing, oiling, brushing to limit mold growth, dusting with diatomaceous earth, vacuuming, and turning frequently. If all else fails, perhaps there is room in theUSmarket for an new American original, perhaps a cheese called, say“Mitolette”? This entry was posted in Affinage, Cheesemaking General and tagged cheese mites, cheesemaking, natural cheese rind problems. Bookmark the permalink. Thanks for being a fount of information on cheese! Cheese mites…. Who knew? Yes if you do natural rinds the mighty mites will be a problem but not too hard to control. I had the biggest problem with bandaged rinds but Jamie Montgomery clued me in to double cloth bandage and have not had a problem since. The oil rubbed cheese do not seem all that attractive to mites. I just clean my cave out twice a year and scrub the shelves w/ hot water and give them a day of “Ol Sol” before replacing and thing go fine for another 6-8 months. Also any mite infested cheese goes on bottom shelf and I Vac that regular. I usually wipe the shelves as well when wiping and turning cheese. Seems to keep the problem at bay here. Thanks for this great contribution from Jim Wallace, the Technical and Artisan expert at New England Cheese Supply! My problem is that I seem to be getting mites on my waxed cheddars – any idea what I could about this? Are they on the outside of the wax? What do they do to the wax- are they pitting it? Do you have other, unwaxed cheeses in the same space? There’s dust on the outside of the wax. They don’t seem to do much to the wax – I think they just bore through to the cheese. There are unwaxed cheeses in the same room but these are younger, a different type and are untouched. I have seen the mites working on waxed cheese but it seems that their entrance is through small cracks or pinholes left by air bubbles in the waxing process. A second coat of wax usually stops this. Thank you, I’ve recently been searching for information approximately this topic for a while and yours is the best I have came upon so far. But, what in regards to the bottom line? Are you positive concerning the supply?